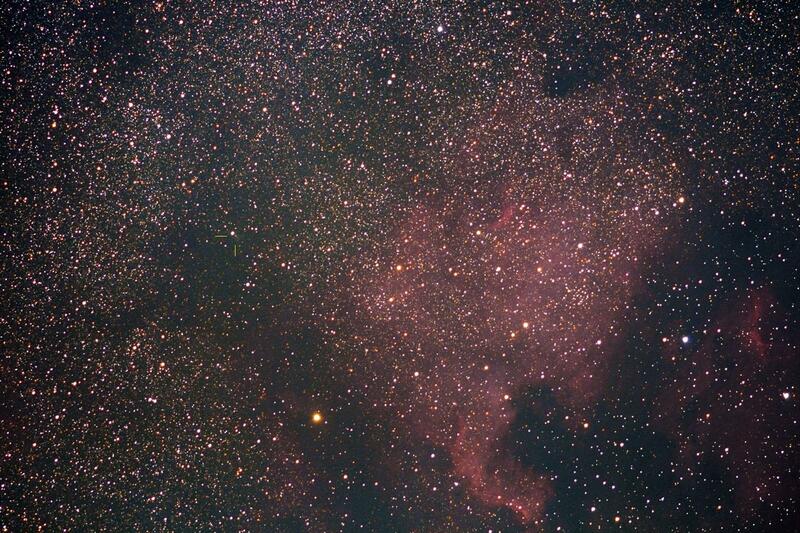 Here's my version of comet 21P passing NGC 7000 the North American Nebula. Taken earlier this morning 2018 June 22nd, the shortest night of the year and not properly dark here at Lat 51.5 N also with a moonlit sky and from an urban light polluted site Its a cropped image using my Canon 60Da and a 200mm lens working at 1000 ISO. 21 x 90 sec exposures stacked.